Aufguss is German for infusion. This ritual renews the technique of vaporization and heightens its effects by using water enriched with natural essential oils. When the water is poured onto the heated stones, a burst of steam with health-enhancing properties is released. 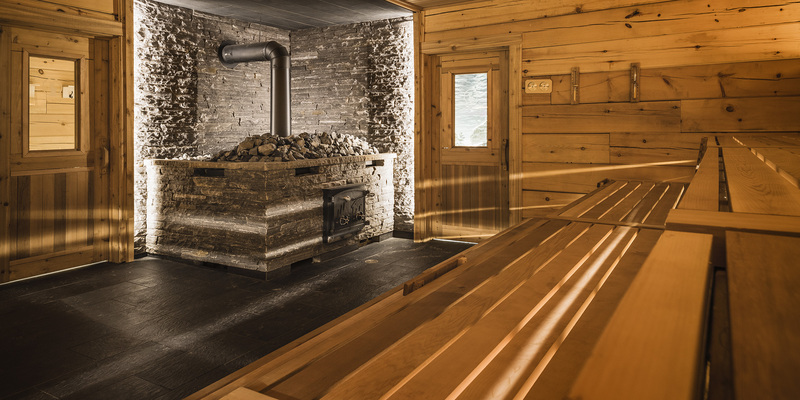 The Sauna Meister directs the hot and scented steam toward the guests, using the different rhythmical movements of a towel. Aufguss rituals are held in the Finlandia sauna every day. Every day at 11 a.m., 1 p.m., 3 p.m., 5 p.m., 7 p.m. and 9 p.m. The Aufguss ritual is announced by a gong. 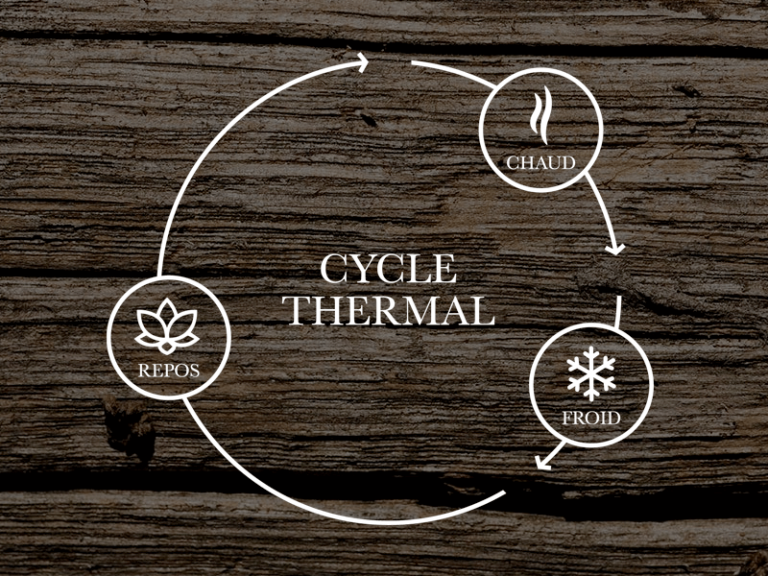 Thermëa only uses pure and natural essential oils. A magical and one of a kind experience. The ringing of a gong announces the impending start of the Aufguss. 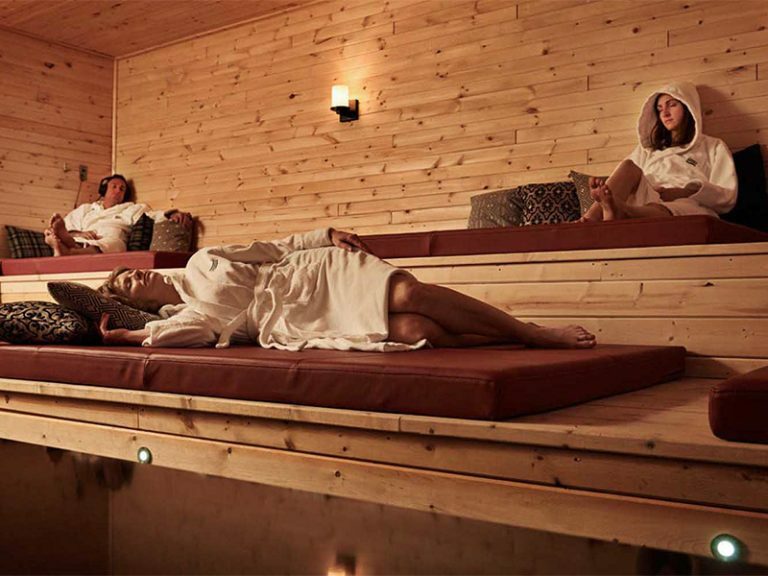 When you hear it, head to the Finlandia sauna and make yourself comfortable. If it’s your first time, choose the lowest level of the sauna where the heat is more bearable. The ritual, which is truly entertaining, takes about 15 minutes. The heat rises constantly throughout the performance. You can leave the sauna at any time if the heat becomes too intense, but the complete experience is worth it. Challenge yourself to stay until the end. The scent of the essential oils, the music, and the motions of the Aufguss master combine to create a magical and one of a kind experience. The Aufguss master arrives dressed in a traditional skirt and carrying a wooden pail with snowballs. These snowballs are infused with various carefully chosen pure and natural essential oils the Aufguss master will use during the ritual. After a short introduction and explanation of the steps of the ritual, the show is on! The music starts, and the Aufguss master sets the first essential oil-infused snowball onto the hot stones. The Aufguss master agitates the air with mesmerizing towel movements, fanning the guests with hot vapour. Now you need to breathe deeply to allow the essential oils to work their magic. The burst of enriched air is a subtle pleasure to the senses, enhancing the many benefits already enjoyed in the dry sauna. Three essential oils, three songs carefully selected by the Sauna Meister for a personalized experience, and the heat that intensifies throughout the ritual: each Aufguss is unique! 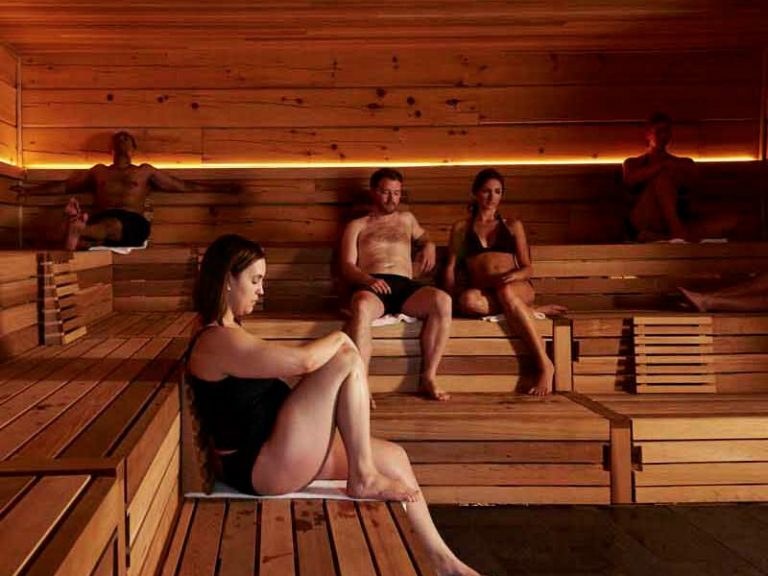 It all started when two members of our team decided to travel to Germany to take a five-week training course to become Sauna Meisters and expand their knowledge of sauna rituals. This intensive training taught them the basics of maintaining and operating a sauna and, more importantly, the techniques to perform the Aufguss rituals. Today, we are proud to have two Sauna Meisters in our team, who now share their knowledge with the rest of our team. In addition, the Nordik Group is a member of the German association called “Sauna Bund” which has been regulating and supervising the Aufguss rituals of its 900 member institutions for over 50 years.